This skin fits models with a CD/DVD drive only. 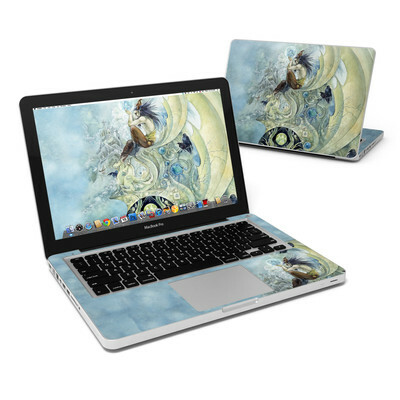 If your MacBook does not have one, click here for the correct skin. Features unique artwork by Stephanie Pui-Mun Law. If you select this option, we'll cut an opening in the the skin to let you show off your MacBook's illuminated logo. Just remember - we don't change the artwork layout. 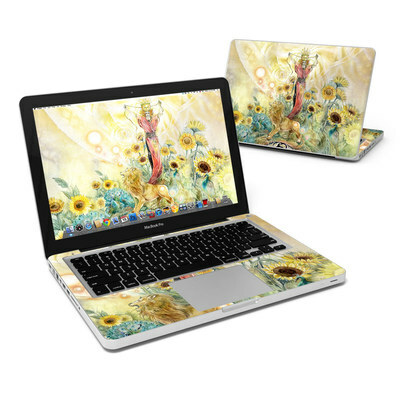 Remember, we offer over 1000 pieces of art as skins for your Apple MacBook Pro 13". Love the customization! Exactly as seen in pics! Easy to put on! Durable and affordable! 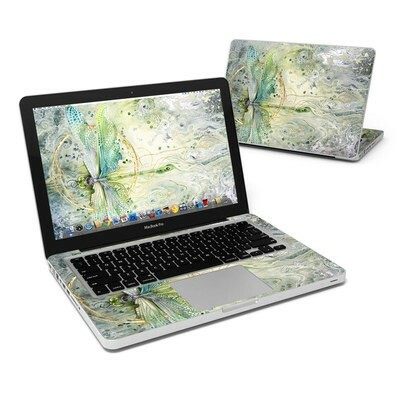 I ordered this skin on Sunday and it's on my macbook pro on Tuesday!! It's pretty. I do think the purple in the background is a tad darker than it appears online( fyi). I got both skins- outer shell and keyboard. The outer shell was fine to put it. It's sticky but as long as you don't push it down until it's centered you're fine. it's hovers above the shell and can be slid around gently. The inner skin was a big harder because of the skinny strip over the F keys. I got it on, but that strip could probably be removed and make it a lot easier. I've had my other skin since 2010 and it's fine. I love it( tie-dye). It's held up beautifully so I came back to deacalgirl for another one! Thanks OH----the 2 extra pieces are for the battery charger. I had to write in to ask about that since we had no idea! The decal fit perfectly! it's nice to look at plus protects the computer without the extra bulk a case gives you. This looks so cute on my computer. I also love how easy these are to put on! No bubbles ever and simple to align. I love how much area of the Apple actually gets covered by the vinyl! 1 of 2 people found this helpful. 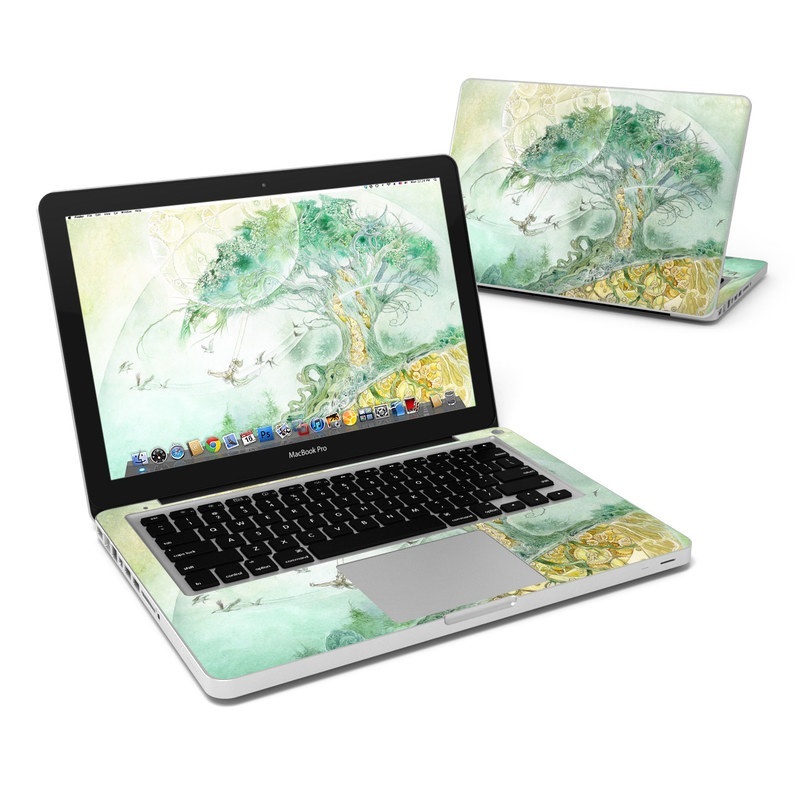 Got this for my MBP and it makes me feel creative and refreshed every time I get on the computer! Amazing combination of mystery, color, and graffiti in this design. This design is inspiring...a splash of color amid a dark and unusual place. Let it shine through! Such a beautiful design. The chaos of creativity, I love it! This design is so beautiful and invigorating. I got it for my ipod and it just perfectly matches/enhances my mood when I go to workout, like a burst of energy! Love this design for all my electronics. I like all to look the same. Love, Love, Love this skin! I bought matching keyboard stickers and they look great together! I get lots of compliments from strangers as I take my MBP with me on trips and I find people asking about them. It makes me happy. It took a BIG scratch for my MacBook! Arrived so fast, too. Skins fit a Toshiba Z30 13" computer. We use skins in our technology department to differentiate our loaner computers from the faculty/staff computer. Gorgeous artwork. I get comments all the time! This is on my other Mac. As a mosaic artist, I noticed how the pictures are fitted together so well as to seem seamless. I got just the front cover to make sure I liked the love of it. 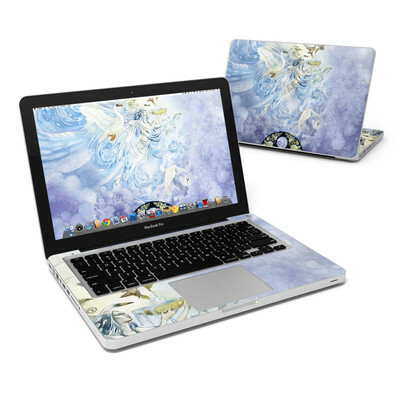 It fits well and covers properly and I have loved jasmine becket-griffith's work since I was in high school. So glad I purchased owlyn. Now I will be purchasing the inside keyboard cover next! A little bit different from what I was expecting but I still like it. Nice skin! Beautiful print and very easy to install.